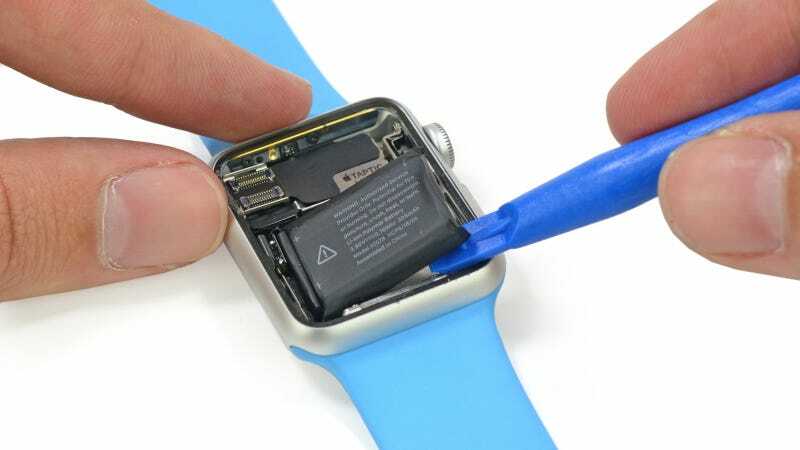 Habitual destroyers of gadgets iFixit have got their paws on an Apple Watch, and as is their wont, they’re tearing it apart, chip by chip. And yes, there’s a camera watching. The team isn’t made of money, though, so the version being taken to pieces is the low-rent Sport model. Thus far, the screen’s come off, and the battery revealed. Thanks to the unibody design, the only way in seems to be by prying the screen off. It looks like most of the space inside is taken up by a battery.